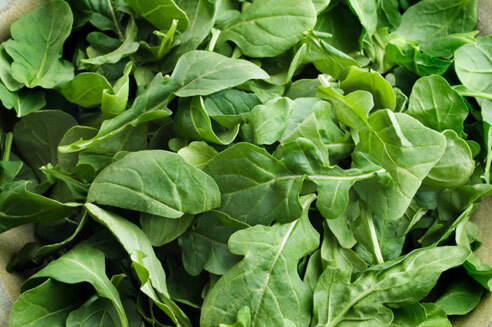 Arugula, spicy, pungent, semi-succulent; an exellent salad green. Some folks prefer to blend arugula into sweeter lettuces to mellow her out a bit, others can't get enough of the spice. Younger greens tend to be mild and nutty and the older ones can can pack a mustardy punch. Arugula salad is wonderful with a sweet balsamic dressing, especially with summer berries, or apples, or even some sweet citrus. Throw some candied walnuts or pecans in there, and maybe a good sharp cheddar, or a fine fresh chevre and you've got yourself a delicious salad! Something else to note, some cultures and old books consider arugula to be an aphrodisiac. . . something to consider for your next romantic picnic?